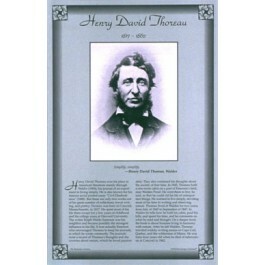 This unique educational poster features a photo of the 19th century American writer Henry David Thoreau, as well as a short quote from "Walden," and concise biographical text summarizing his life and career. 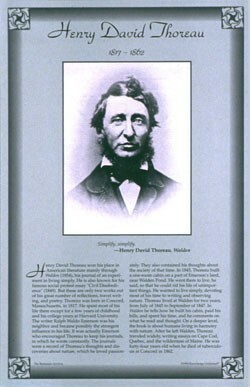 Henry David Thoreau won his place in American literature mainly through "Walden," his journal of an experiment in living simply. This poster is a great way to introduce students to this great American writer and thinker.